Despite a late start, I made four flavors of fudge over the weekend: chocolate macadamia, lavender-lemon white chocolate, coconut tequila lime, and plain coconut (which will be dipped into chocolate and topped with an almond to make coconut almond fudge). These are all repeat flavors, because they are excellent! And, if I may say so, they are much better than commercial fudges, which are universally too sweet and not flavorful enough for my tastes. (This is because sugar is cheaper than either cream or chocolate, so if you are in it for money, using a high proportion of sugar increases profit margins.) I make my fudges with a high proportion of cream (or coconut milk), and the chocolate fudge is “spiked” with extra cocoa and chocolate. This gives it a rich, intense chocolate flavor. I also made two flavors of caramels: my signature jasmine tea – orange blossom honey – vanilla bean caramels, and the lime ginger chile caramels. 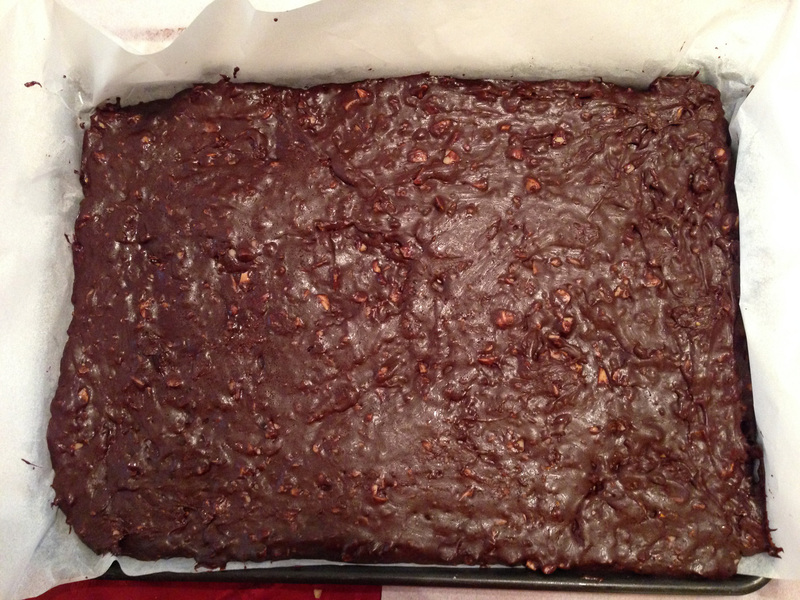 Both will be dipped in chocolate, and the lime-ginger-chile caramels will be topped withÂ a sprinkle of chopped peanuts. I’m planning to do that during the week. Because the weather is still quite warm, I’ve decided to hedge my bets on the room temperature. I went out yesterday and bought a portable air conditioner from someone on Craigslist; if it gets really warm (high 70’s or low ’80s), I’ll use it to cool the room. I’d hate to have a failed batch (or more!) because the room was too hot! 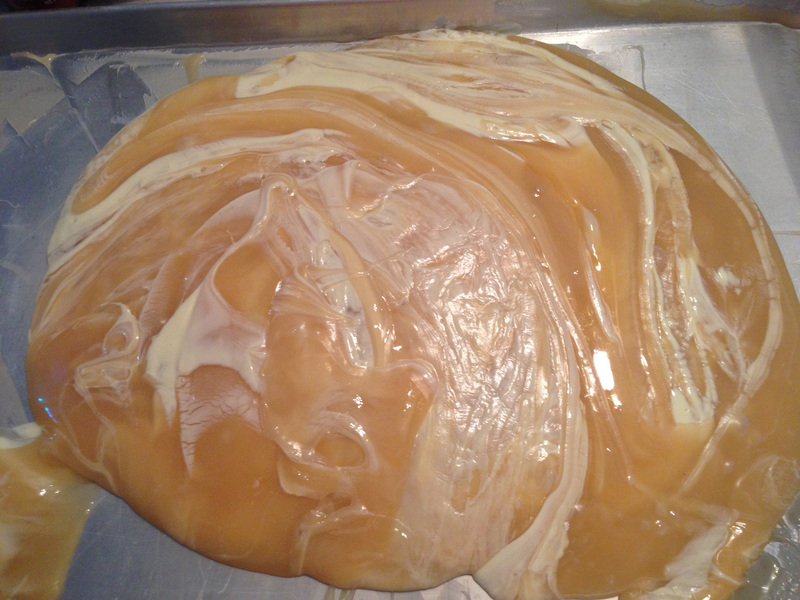 I have one more batch of caramels to make – the lavender salt caramels – and will do that in the next few days. Meanwhile, in kitten-land, here is another clip of Fritz and Tigress playing. I really love the way Tigress’s belly is striped and spotted – it makes her extra cute when she’s rolled over and inviting you to play-fight. The lemon-lavendar and white chocolate look so wonderful before the final mix. What would happen if you left it as a swirl and let your mouth encounter each flavor separately? or do the flavors need to ‘marry’ into each other? Unfortunately, you’d get a grainy mess. The agitation and mixing create lots of small sugar crystals – if you don’t mix it, you wind up with a coarse, grainy texture with big sugar crystals. The chocolate would also harden unevenly. 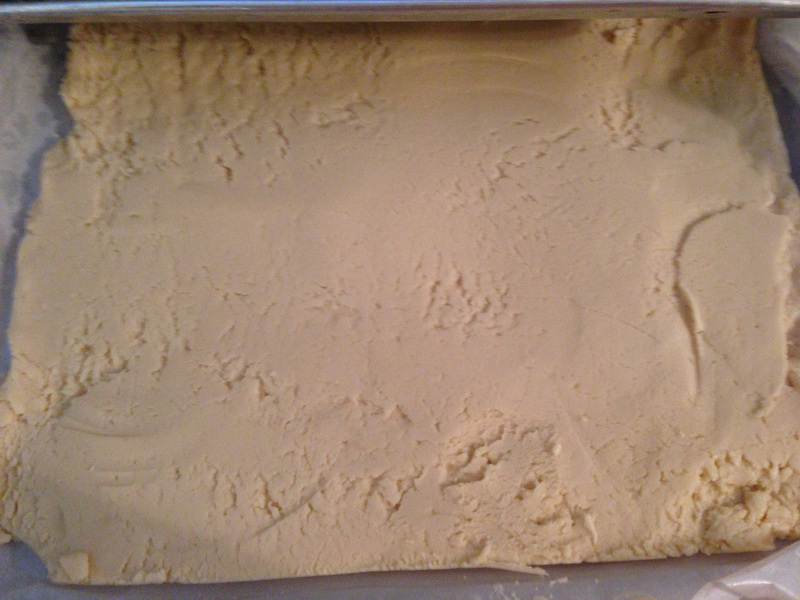 The finished fudge may not look as pretty, but it tastes a lot better than it would if left alone! I’m enjoying your chocolate-making almost as much as your weaving! 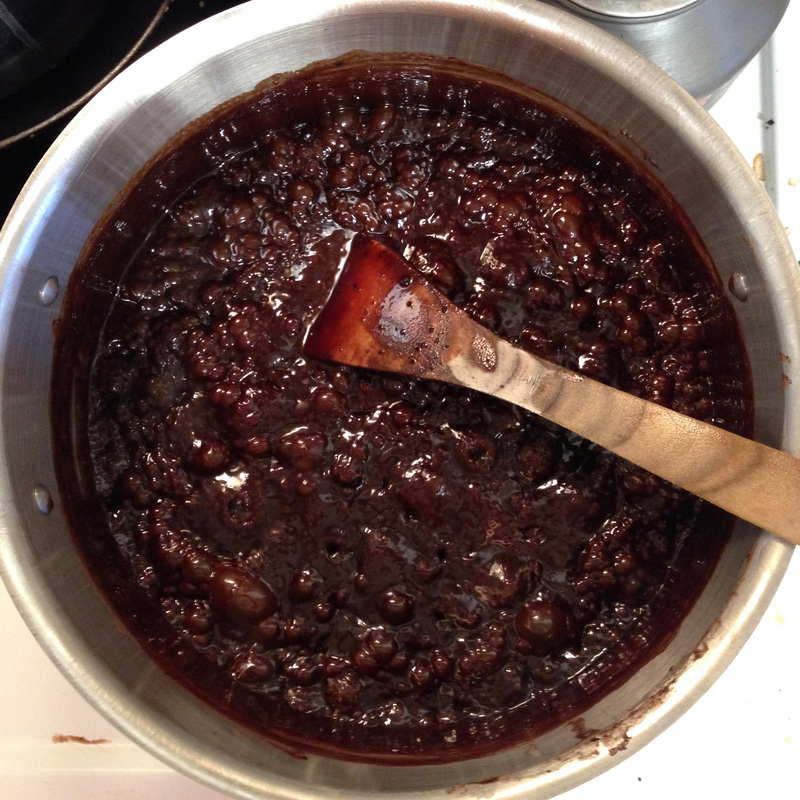 Are there any references you can pass along for the fudge and/or caramels?